Off white fabric, Grosgrain ribbon trim. - 15" across the top x 16" across the bottom x 11" on the slant x 11" high. - Off white fabric, Grosgrain ribbon trim. 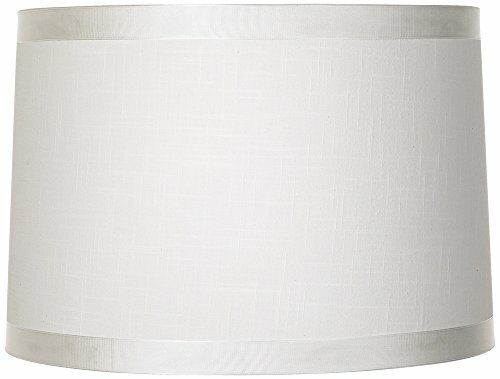 - Drum shade design from the Brentwood brand.